$1,349 Seen a lower price? The Elektron Analog Four MKII represents the best of two worlds. Inimitable analog impact combined with razor-sharp digital accuracy. This is an analog synthesizer for the creative artist. 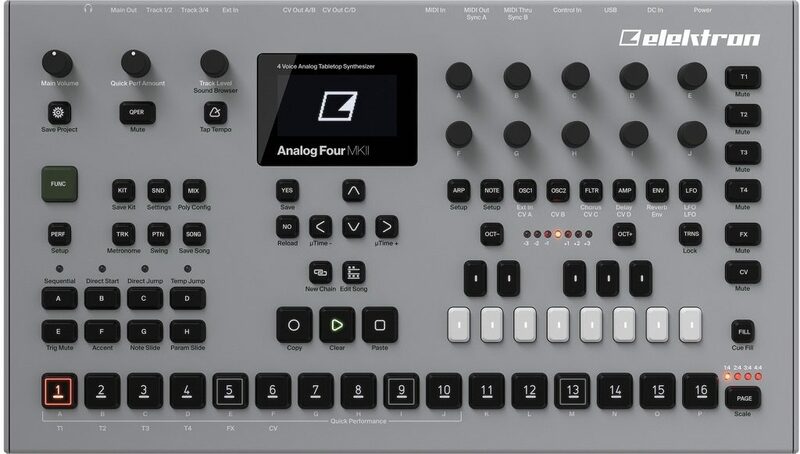 Analog Four MKII is the new benchmark for analog tabletop synthesizers. Tweaked circuitry delivering deeper bass than ever, powerful sound control possibilities, dedicated outputs for each voice. Not to mention the ultra durable buttons, the big OLED screen and the premium design. No stone has been left unturned. - Unit power consumption: 15 W typical, 20 W maximum. Available until 11 PM (EST) today. Mention special code 20D-VQDT when you call.